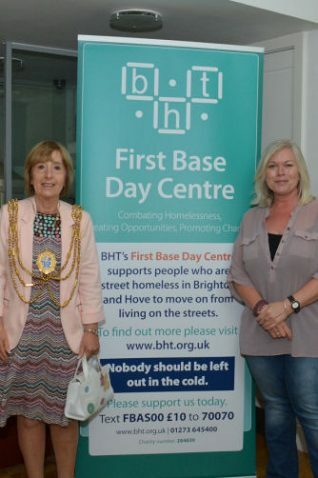 An event held today and attended by the Mayor of Brighton and Hove, Councillor Lynda Hyde, was to thank the people and businesses who support Brighton Housing Trust’s First Base Day Centre for the homeless, and to inform new supporters and volunteers on how they can get involved. Today was also an opportunity to acknowledge the work of young fundraisers. The gathering was also an opportunity to launch a new Impact report on rough sleeping in Brighton and Hove. Brighton Housing Trust chief executive Andy Winter, said nobody should be sleeping on the streets of a wealthy city such as Brighton and Hove. He maintained that his stated ambition to end homelessness in the city would not be easy but was possible. The BHT report sets out the hardships of life on the streets where the average life expectancy is 43 years for women and 47 years for men. Almost 600 men and women rough sleepers accessed the charity’s First Base Day Centre at St Stephen’s Hall, Montpelier Place in 2014/15. The centre’s staff were able to move 315 people off the streets and into secure accommodation in 12 months. 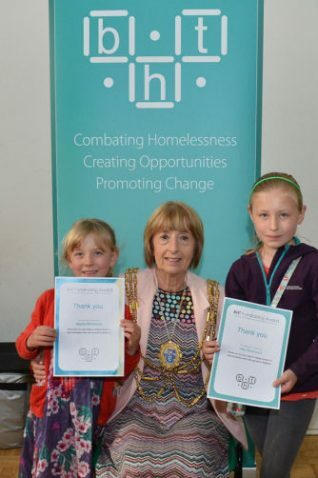 You can find out about the work of Brighton Housing Trust here.